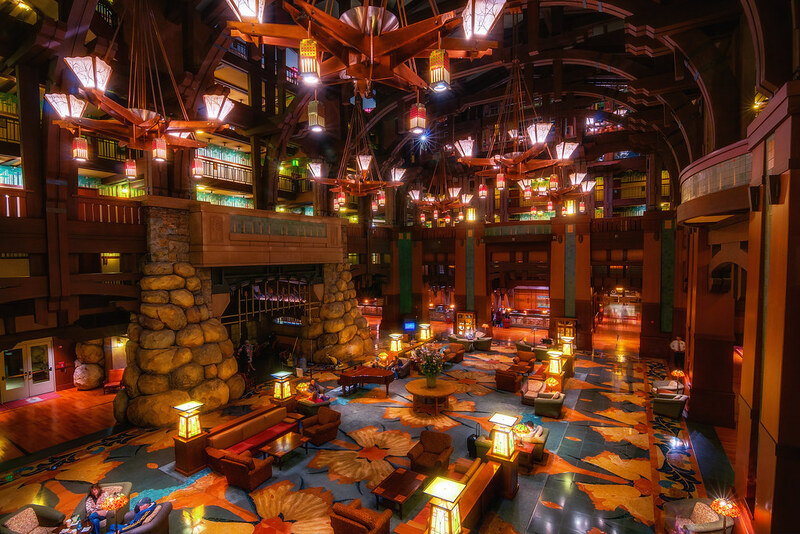 Been wanting a photo of the Grand Californian lobby for a while so I’m very glad I finally got this. Bonus fun: Try to spot my dad hanging out somewhere in the shot! This entry was posted in Downtown Disney and tagged grand californian, hotel, lobby, resort. Bookmark the permalink.